Although it knows the basics like how many beds and baths are on record, location, square footage and how much nearby properties have sold for, it has no idea you have traded carpet for solid walnut throughout, you transformed that closet called a bathroom into a home spa or your home is in one of the most desirable school districts in the area. 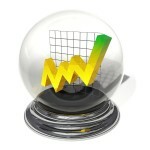 Zillow does not have a Crystal Ball. How does someone determine home value? In a neighborhood like Silver Lake or Echo Park, where the houses are round 100 years old, things like being in a great school district or on a beautiful tree lined street can affect how the house is perceived. But determining the actual value of a property has many more factors. For example, if the reason for determining the value is for refinancing, a lender will use an appraiser. This appraiser will assess the property and compares it to similar properties in the area and what they have sold for. Then they will give the lender their opinion what the property is worth, normally on the conservative side. When the property is going up for sale, many more factors come into play. What similar properties are priced at, what the home owner hopes to profit and what the realtor thinks it might go for. But the most important thing is what buyers value it at. With so many home improvement shows as well as the internet influencing what is “desirable” inside a new home now, if this particular property doesn’t have a large open floor plan with calming colors and a beautiful flooring a buyer might look at it as a “fixer upper”. Even if the house has no real issues, the idea of having to update a house may keep the buyer from seeing the value in the home. Especially when there is the “Zestimate” and history of the house right at their fingertips. If the house was purchased for $350,000 in 2005 and it’s on the market for $650,000 now, the buyer wants to know why, especially if the design of the home isn’t what is trending now. With so much information available it makes the process of buying or selling a home hard to navigate and confusing. So how does one navigate through all this information overload? A real estate professional. Someone who has tons of knowledge concerning the market in question. Not only can they help a buyer sail through this sea of never ending information, they can help the seller’s property be the island they are trying to get to. How does said professional help buyers see the value in your home? By presenting the property in the best possible light, which includes how it looks and what it is priced at. Before that buyer came to look at the property, they opened the Zillow app and checked out the Zestimate. No matter how accurate that number may be, it is a great starting point. Then, the real estate expert will compare the property to what others in the same area. There is a similar property on Effie St that is priced for $50,000 less. What is it about this property that makes it worth the extra money? Trying to determine home value when thinking of selling a property is difficult. The best way to get the most of your sale is to talk to an experienced professional. Although a Zestimate, or the sale down the street can create a vague idea of what the property is worth, but a realtor interacts with the public and has a good idea what people are shopping for.